Visited the De Menil collection in Houston which is housed in a beautiful Renzo Piano building and also the beautiful Rothko Chapel which the De Menils commissioned bringing together Rothko and the architect Philip Johnson. 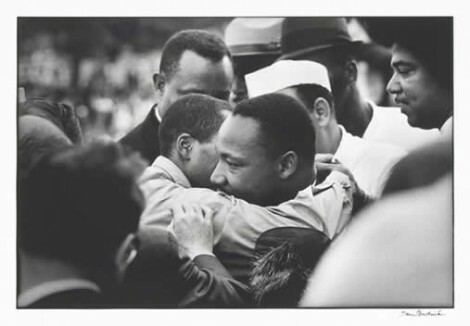 Amongst the many highlights was a wonderful show of civil rights era photographs which runs until September 25. As described by the Menil Collection – “The Whole World is Watching” was a phrase adopted by radical and leftist political groups in the 1960s to aggregate change, including anti-Vietnam war demonstrators, and student activists, like the Student Nonviolent Coordinating Committee. With the advent of television and the new ubiquity of printed media in everyday life, live broadcasts and the immediate dissemination of shocking images were playing a powerful role. The media was helping to finally shed light on violence, and racial injustice, and the American people could no longer turn their backs. 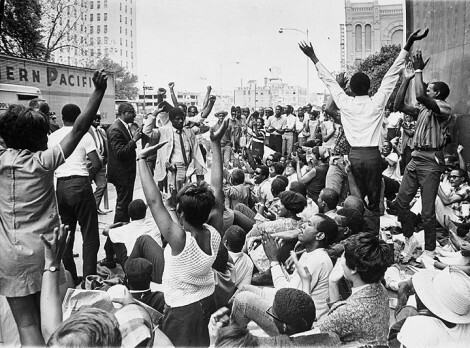 The photographers in the show were involved with showing the world both the struggle, and victories of those fighting for civil rights. As photographers and artists, their work is not only important photojournalistic documentation. It is also extraordinary works of art, in themselves. With complex formal compositions and masterful plays with light and framing, they are indelible statements.